On Thursday, October 4, the Caltrain board isÂ holding a workshop discussing critical issues regarding the service pattern and investments for Caltrain in the coming decades. 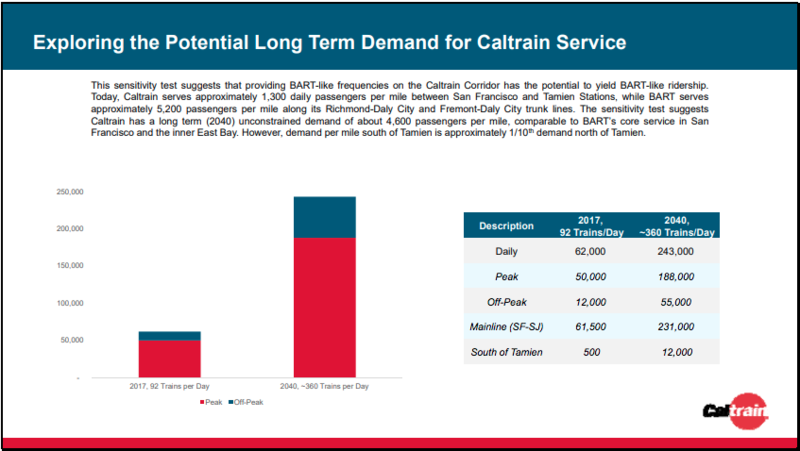 Caltrainâ€™s modeling shows that providing BART-like service frequencies has the potential to yield BART-like ridership – on the order of 250K riders by 2040.Â How much of this pent-up demand can move to rail transit will be driven byÂ decisions about service and infrastructure. The discussion was kicked off at last week’s Local Policymaker working group, where city council members from corridor cities strongly expressed their interest in improved electric service. *Â supporting service to support everyday travel needs, not just peak commuters, to serve additional sorts of trips and passengers,Â includingÂ people who work at restaurants and other jobs schedules other than 9-5, people who dine out for lunch or dinner, families with childcare trips, etc. * the notable number of people who live in South San Jose and drive all the way to Diridon because the South SJ stations get little service. Frequency of service, and what places will get frequent service. All-day service. Should Caltrain provide more support for more kinds of trips at more times of the day, helping people live and get around with fewer cars, and helping cities use our valuable land to prioritize housing for people over housing for cars? Market share. Given the governorâ€™s directive to be climate-neutral by 2045, do we want transit to increase market share compared to driving? 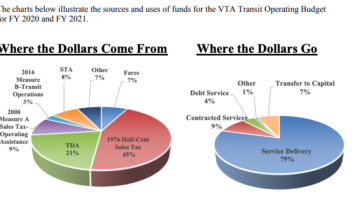 Infrastructure needs for service improvements – what investments will be needed. Close attention from riders, community leaders, city leaders, employers, TMAs, and others will be important to set the stage for potentially major transportation improvements in the coming decade. 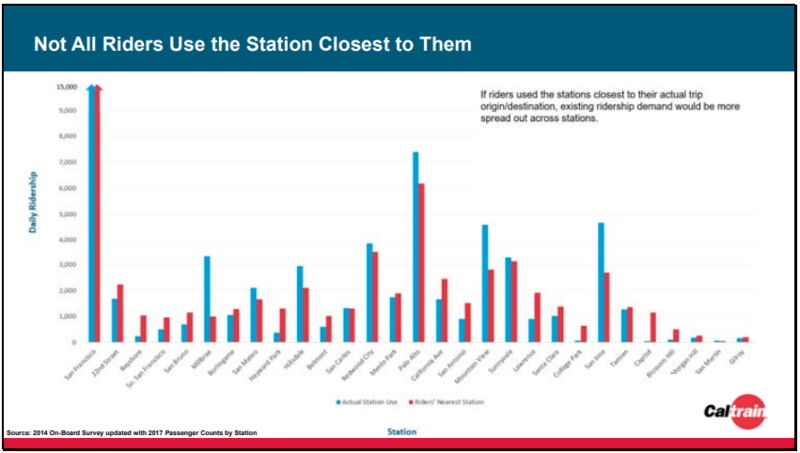 Caltrain’s data, including the potential for dramatic ridership increases, is here. Glad hear that Caltrain finally understand the need of more service beyond “Commuter Rail”. However, year 2040 is Far Far Away. They should start from increased midday, weekend and late evening service as these improvement require no additional capital investment. Well, here’s the rub. You can have more trains per hour, but they’ll need to run at similar speeds, so Baby Bullets will get slowed down or we decide it’s ok to have more 4-track sections. Alternatively, Palo Alto, which really loves having just 2 tracks, could get reduced service. We don’t necessary to have long 4-track section but station. It is better to have 4-tracks (Two island platfrom) for major Baby bullet stop station providing express – local alternative transfer. Local train need to wait for express 3~4 minutes (arrive 1 min before express arrives, depart 1min after express depart – depending on signal response) but this will be offset by convenience of connecting express train.